This coat has been one of the items I have been less fond of. This coat is from the stripped-down end of the soft-shell spectrum in the sense that it offers good wind and decent water resistance, but zero insulation. You really need to wear something underneath this coat unless you are working hard (and I say this as someone who tends to run warm); oddly, it seems cut too slim to accommodate that insulating layer comfortably. It has a snow-skirt -- I would have preferred it didn't -- but I don't think it would work in lift skiing other than in nice, warm conditions; it has a hood, which is good to have. No pit zips, but it has long zips on the front pockets, and you could do a lot of venting out those (they're fairly deep, so your gloves or whatever shouldn't fall out). One annoying flaw -- the placement of the tab in the back to tighten up the collar: it digs into the back of your neck if you sit in a high-back chair with the coat on. I think its ideal niche is backcountry/AT skiing, some activity where you will work up a sweat. All in all, though, I have other soft-shells that I prefer -- either they have more insulation or they do the same blocking of the wind and weather with less weight. I bought this jacket for downhill skiing last November. I bought this jacket for downhill skiing last November. I just got back from an extended ski trip...spent over a month skiing in Taos, NM. I skied pretty much every day, all day, in all kinds of weather and temperature conditions. I also used it for around town and at the local hangouts. I bought mine in solid black (light grey lining) and I received lots of compliments; it's a very handsome jacket. The White Smoke jacket is a very well-made, durable and intelligently-designed piece. 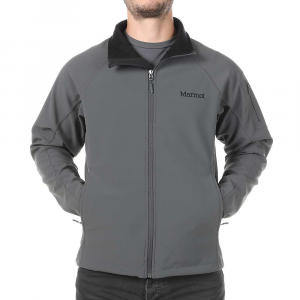 It uses a very tough, nicely-textured exterior fabric with just enough stiffness...perhaps a bit more stiffness than most softshell jackets out there. Body length is longer than most softshells, just below the hips and with a bit more length at the rear. It's long enough to protect you on the lifts and on the slopes, yet not so long to hinder movements while skiing. Moisture-resistance and breathability are both excellent. All seams and zippers are laminated, weathertight and lay flat; I had no problems whatsoever in this respect. I did not encounter any really wet conditions or snow, so I cannot say how waterproof the exterior fabric will be in these conditions, but I never experienced any hint of exterior or interior dampness or wetness even when covered with snow for long periods. The body/sleeves interior lining has a very nice, soft feel to it, and seems to add a bit to the insulating qualities of the jacket. The sleeves are long and have a non-restrictive cut. The cuff closures use velcro straps that allow infinite adjustability and hold well. The fit of the sleeves is neither too loose or too tight; they seemed to work well with a variety of insulating garments. The easily removable hood...it attaches with a hidden zipper along the back and two snap-on tabs at the two front corners...is sized quite large for use with ski helmets, and is very adjustable with three properly-placed drawcords. When not in use the hood lays pretty flat and out of the way, and the substantial hood fabric does not flap around in the wind like other hoods I've used. The very tall and stiff collar protects the neck and face very effectively and stands up extremely well to wind and snow. It is fully lined with some sort of soft, fleecy fabric, and has an outstanding, rear-mounted, drawcord snugging gasket device that really works to seal out the weather when necessary; all jackets should have this feature. The tall and stiff collar can be a bit restrictive when zippered-up fully while wearing a helmet, but it really comes in handy when riding the lifts in high winds and inclement weather. The hood and collar are independently adjustable and work well together. With the hood removed the jacket looks very stylish and sleek. The well-placed elastic powder skirt has a fully adjustable drawcord and lays flat and is completely unobtrusive when not in use, unlike some other ski jackets I've used. The drawcord at the hem is also very functional, easy to adjust and seals well. Interior pockets include a music-device mesh pocket and a very large "skins" mesh pouch. Exterior pockets include a large breast pocket and two side hand/ventilation pockets; there are no pit zips. All exterior pockets use laminated zippers with good pulls and seal very well. Fit of the jacket is large and full through the shoulders tapering down to a more trim fit around the torso and waist. 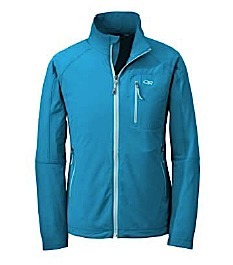 It fits very well with excellent range of motion, without looking overly-baggy like many jackets on the market today. It seems to follow the Arc'Teryx style of fit through the body with more fully-sized shoulders. I used a variety of insulating pieces with this jacket, depending on the temperatures and conditions, and it seemed to work well with all of them. In the coldest temperatures (below -10 degrees in the AM), I used a Patagonia Down Sweater (this is a wonderful down insulating garment!) and some Hot Chillys layered under the White Smoke; I was toasty warm without being too much so by mid morning. On warmer days a light fleece was all I needed underneath. And on the warmest days on the hill, and for around town use, the jacket alone was sufficient. This jacket really works well with a variety of layers for all types of conditions. In all situations, breathability was outstanding. 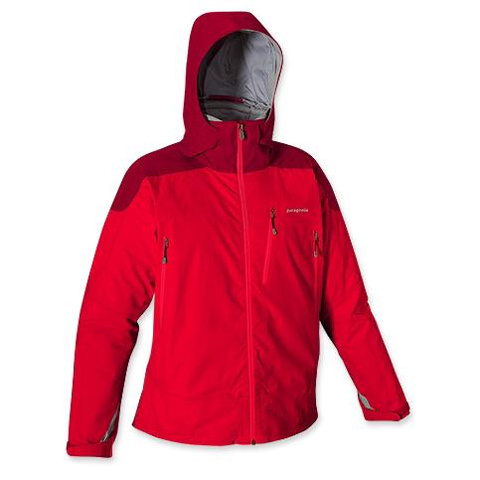 All in all, this is one heck of a jacket for skiing, and any active cold weather use. It is a bit heavier than most softshells I tried, but not too much so. For really active pursuits it will probably be too much jacket. It's also very good looking and quite stylish, nice enough to wear anywhere. 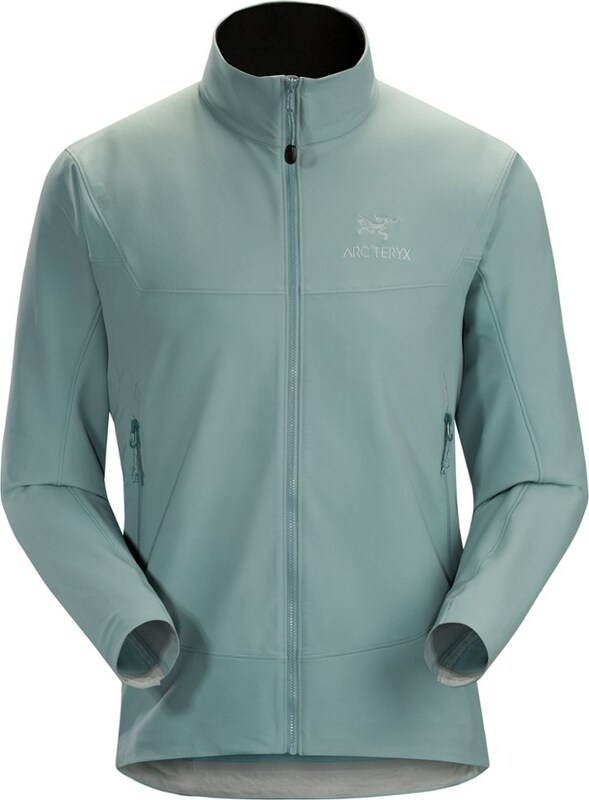 I tried several Arc'Teryx softshells before buying the White Smoke, and I preferred both the price and the features of the Patagonia jacket. 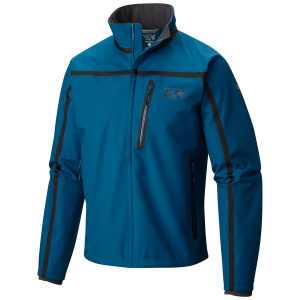 Awsome jacket for mild weather backcountry skiing/boarding! 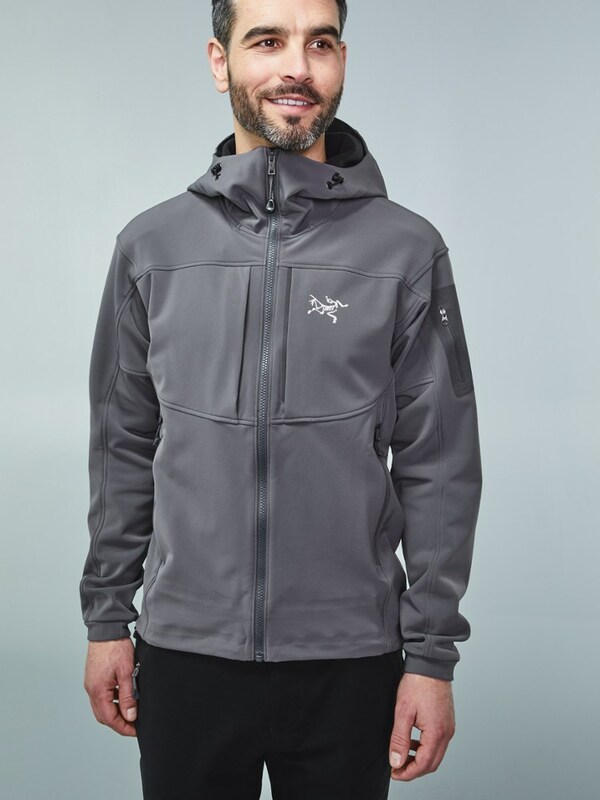 Awsome jacket for mild weather backcountry skiing/boarding! Breathes great and the hood, skirt and cuffs are designed to perfection to keep the elements out. It also looks like a million bucks! The only downer is that the fit is much too snug to accomodate a heavy layer for colder climates. When wearing a heavier fleece, mobility is seriously restricted around the shoulders (especially for broad, barrel-chested fellas). All in all, I STRONGLY recommend this jacket to those who tear it up in places like Cali or Utah. If you're playground tends to drop below 0 on a regular basis (i.e Alaska or BC), I would recommend one of Patagonia's better insulated jackets. The White Smoke Jacket has been discontinued. 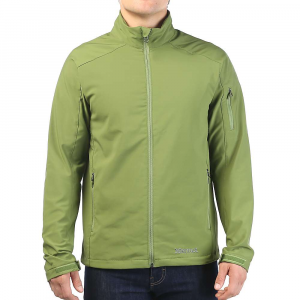 The Patagonia White Smoke Jacket is not available from the stores we monitor. It was last seen August 29, 2010	at Altrec Outdoors.